In the UK, CRY are best known for raising awareness of cardiac conditions in young people, for the support we offer to those who have been affected, and for the cardiac screening services we offer to all young people. Throughout the rest of the world we are better known for the research we are publishing, which is having a direct and immediate impact on clinical practice. CRY’s research – overseen by Professor Sanjay Sharma, who is recognised as one of the world’s leading experts in this field – is vital in helping us to better understand the prevalence of cardiac conditions, as well as improve our ability to diagnose and manage cardiac conditions in young people. CRY’s research focuses on both athletes and the general population. In 2017, over 27,000 young people aged 14-35 were screened through the CRY screening programme (www.testmyheart.org.uk). 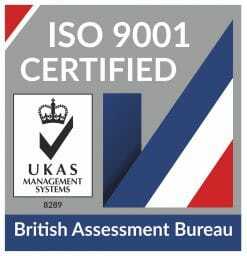 Approximately 10% were elite athletes, the other 90% of the people we tested were fit and healthy young people who will enjoy sport at various different levels. We are sometimes asked why there is such a focus on ‘sports cardiology’. What sports cardiology really represents is research and clinical practice applied to fit and healthy young people. Elite athletes who are pushing themselves to the limits represent an extreme, and the knowledge gained from studying these athletes then filters through to better inform diagnosis and management of all young people with inherited cardiac conditions. When most people think of cardiology they think of the elderly, whereas sports cardiology is the opposite, it is about young hearts. 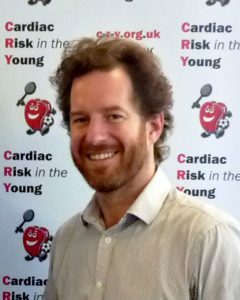 Clinical data obtained through the CRY screening programme, at the CRY Centre for Inherited Cardiovascular Conditions and Sports Cardiology and the CRY Centre for Cardiac Pathology, is analysed and reported by CRY’s research team in peer reviewed journals to influence policy and practice in the UK and internationally. The knowledge of cardiac conditions in young people has increased enormously since CRY was founded in 1995. Undertaking important and pioneering research remains one of CRY’s core initiatives, so that our understanding will continue to expand in the future.